The St. Louis Blues head to Scotiabank Saddledome to take on the Calgary Flames on Tuesday. The Blues are 4-1 in their last 5 overall and 11-3 in their last 14 road games. They are 5-2 in their last 7 road games vs. a team with a winning home record. The over is 7-1-2 in the Blues last 10 in the third game of a 3-in-4 days situation and 9-2-6 in their last 17 road games vs. a team with a winning home record. The Flames are 4-1 in their last 5 after scoring 2 goals or less in their previous game and 5-2 in their last 7 overall. They are 7-3 in their last 10 home games. 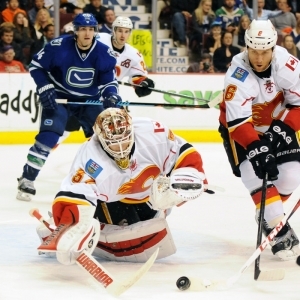 The over is 4-0-2 in the Flames last 6 home games and 5-1 in their last 6 overall. Head-to-head, the home team is 5-1 in the last 6 meetings.The under is 19-5-2 in the last 26 meetings in Calgary and 6-2-2 in the last 10 meetings.